Warehouse Space is a flourishing name in the real estate community of Maharashtra. 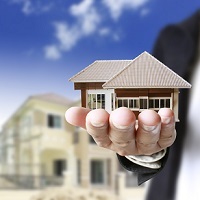 Since incorporation in 2018, we have been providing services of a real estate agent. Clients can approach us for buying, selling, renting and leasing a property. Our company is located in Mumbai (Maharashtra, India). We have a support of experienced estate agents, who work collectively to understand growing real estate demands, property rates and industry trends. Based on this, we assist clients in making the right decision. When you appoint us as your real estate agent, right from property listing to advertisement and price negotiation to final settlement, we take care of everything. So, if you are planning to invest in the real estate sector of Mumbai and Bhiwandi, do give us a chance to serve you.